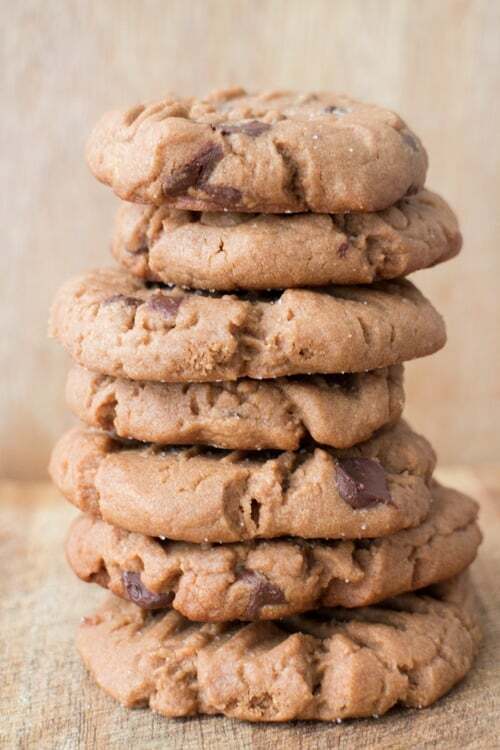 CHUNKY Chocolate Chip Peanut Butter Cookies is an easy homemade from scratch recipe. These are one of my most requested cookies to bake for my family and is always sold out at bake sales! I love the combination of chocolate and peanut butter. Chocolate Chip Peanut Butter Cookies are the key to my cookie loving heart. The cookies rise beautifully giving them a chunky style that you can sink your teeth into. There’s chocolate chips melted inside along with the taste of peanut butter in every bite. For this recipe you will need the following ingredients. This recipe yields 48 cookies. If you’d like to make less, you could cut the recipe in half for 2 dozen cookies instead. 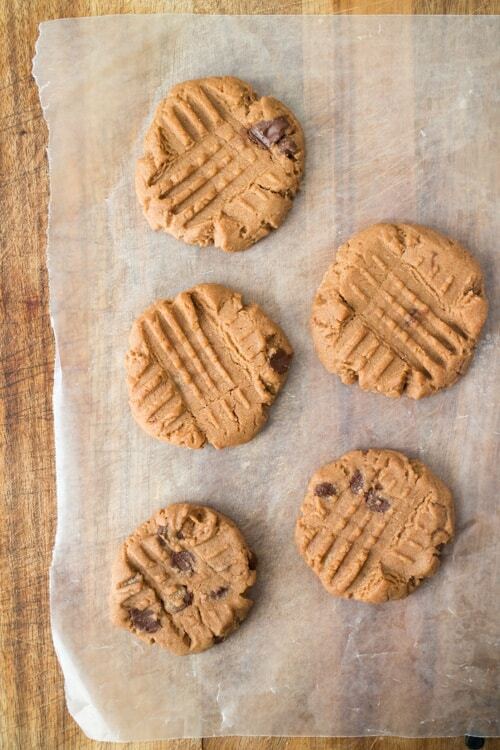 How do you make Chocolate Chip Peanut Butter Cookies? After all your ingredients are mixed together, you’re going to roll them into 1 inch balls and put on cookie sheets (silicone baking mats always recommended for easy cleanup!). Use the back of a fork to gently press down on each cookie, making a criss-cross appearance. Sprinkle each cookie with a little additional sugar. Then into the oven they go for about 11 minutes and slightly golden brown around the edges. I receive emails and comments all the time from people that tell me these were a hit at their local bake sale! So many bakers have told me these are usually one of the first baked goods to sell out! They are a classic cookie that everyone wants so they’re sure to be a hit! Looking for more bake sale ideas? Try my Banana Muffins and Chocolate Peanut Butter Whoopie Pies! 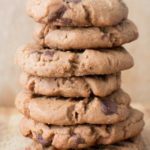 I hope you enjoy these delicious chunky Chocolate Chip Peanut Butter Cookies – they are one of my family’s favorite cookies and I hope they become one of yours soon! 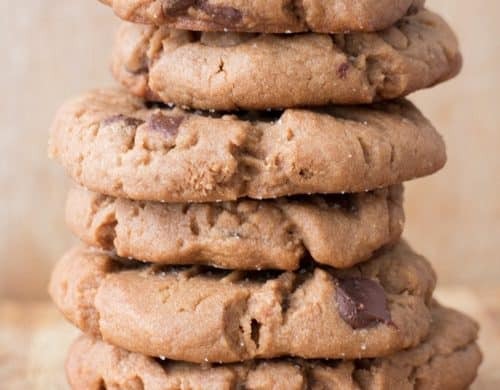 You’ll love a bite of the chunky peanut butter cookie, with chocolate chips in every nibble! Mix butter, peanut butter, sugars, eggs and vanilla together until creamy. In separate bowl mix together flour, baking powder, salt and baking soda. Add this dry mixture to the wet mixture. Stir in chocolate chips and mix until they are equally distributed. Roll into 1 inch balls and put on parchment lined baking sheets. Use the back of a fork to make a criss-cross appearance on every cookie. Sprinkle each cookie with sugar. Bake for 9-11 minutes or until slightly golden brown around the edges. Oh boy, these are my kinda cookies! Thick and chewy with peanut butter and chocolate – I am so there!!! Not only have I eaten too many cookies, I’ve eaten too much candy, fudge, chocolates, wine, scotch, sangria, quiche, pie, and everything else. Only one more party to go before Christmas. I do have room for these cookies though. Yum. Oh, girl! These cookies look like my new best friends! So soft and thick and chewy. And packed with chocolate chunks! I can hardly focus on the words because I keep thinking about your cookies! Pinned! I love peanut butter in cookies, it just makes them so creamy. I have officially started the Christmas cookie eating. I have been eating way too many cookies but I always have room for more during this time of year 🙂 Especially soft and puffy chocolate chip peanut butter cookies. These look amazing! These cookies look incredible! 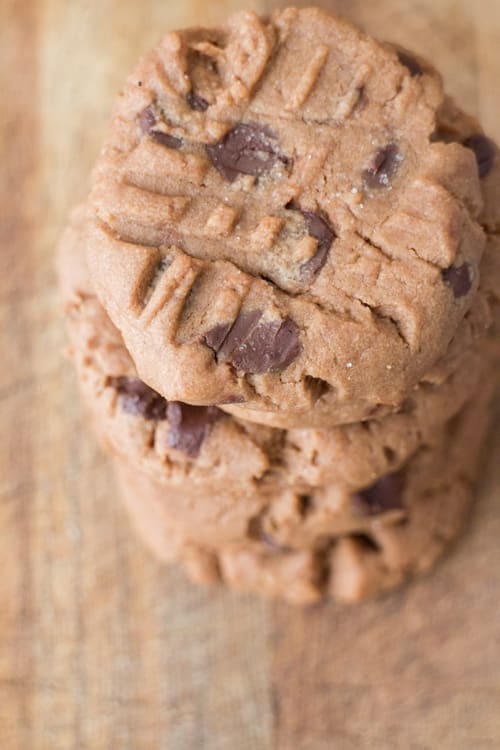 Peanut butter and chocolate chips were meant to be together. These look like the ultimate soft and chewy cookie. Pinned! In my case its been brownies…haven’t even started on the cookies or fruit cake yet. 😀 Peanut butter and chocolate are a great combo and yours look terrific. Oh man what a classic combo… but can you believe I just started liking PB with Chocolate last year? I don’t know why my taste buds held off for so long… it’s so good! I’ve totally over dosed on cookies, but these have convinced me to haul out the mixer for one more go around! I’m with you on eating my fair share of cookies (more than my fair share) before Christmas. These look lovely! Chocolate + pb is the BEST combo. popular. I’ve really been modest in eating Xmas cookies except for one episode. This is quite unusual. Oh my goodness these look amazing!!! 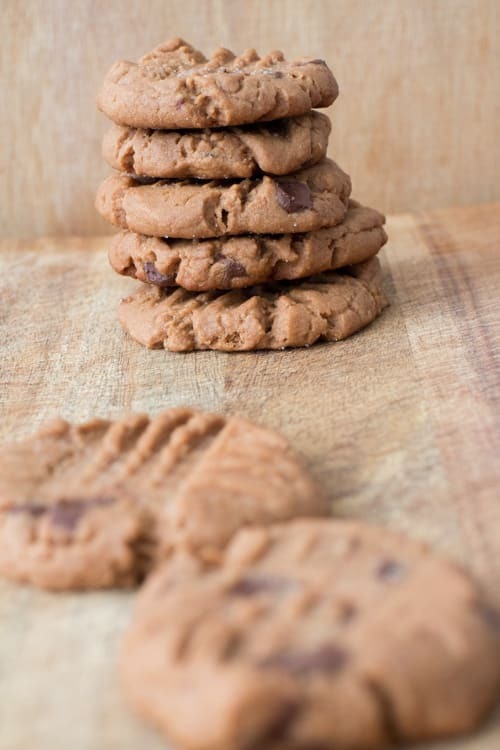 I love peanut butter cookies but have never tried them with chocolate chips. I will definitely be making these over the holidays! Thanks! Wow, these cookies look awesome!! haha yup, I definitely feel like I ate one too many cookies already! And we haven’t even gotten to christmas yet! These look delicious! Anything with peanut butter and chocolate I could never ever turn down! These look so delicious. I am bookmarking these for later on. Chocolate + peanut butter= perfection! These cookies look amazing! I can’t wait to try them! Those are some really thick and beautiful cookies, love pb cookies and of course chocolate chip so the combination is really so delicious. I will try this recipe it looks so good. These cookies are definitely worth eating too many of! I’ve eaten ALL THE COOKIEs too. yum!!!! Looks amazing! I’ll have to try these. Chocolate peanut butter everythang! Yum! on the real real….I always eat too many cookies. Because who can resist??? I need these in and around my mouth. Haha but seriously…. These look amazing 🙂 I love the patterns on the top of each cookie too! These cookies look amazing! Happy holidays! I made your Yummy tasty cookíes & loved every bite! Mmmmmm,…they were! Chocolate and Peanut Butter are meant for each other, like they really are! The cookies look so good, I can eat 5 in one go I guess or maybe more! Pamela, your peanut butter cookies look phenomenal! Cannot wait to try your recipe. These won’t last long at our house! Thanks for sharing! light brown sugar? and regular choc chips or semi sweet? Hey Christy, light browns sugar and I prefer semi sweet chocolate chips for this recipe. Enjoy! Hi there! Just came across theee and they look great-wondering if you think using mini-chips wou,d hurt the texture? Thinking those wild. See it easier to use the fork to press them. TIA! Hey Sheila, using mini chips would be perfectly ok! Enjoy the cookies! Thanks for the quick reply! 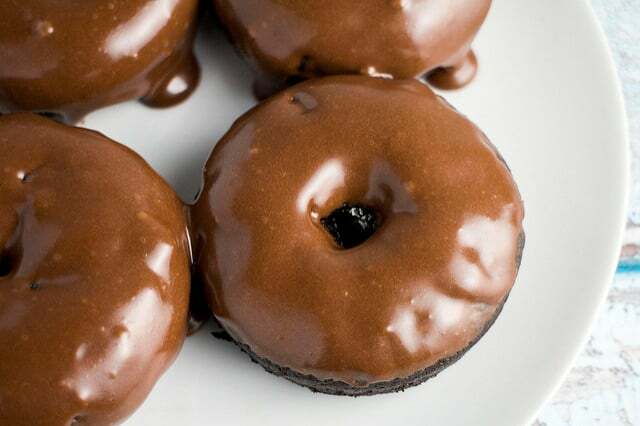 Will be making these today for a visit to a peanut butter/chocolate combo loving brother! Hey Marie, absolutely! They will be just as delicious – enjoy! these cookies look so good, but can’t find the recipe. Can you please let me know where I can find it? Hey Tama, so happy to hear you liked these cookies! Thanks for commenting! Do you think I could omit the peanut butter?? Hey Nell, you could if you were going to replace it with another nut butter. Do we need to melt the butter first before adding? Thanks! Hey Hannah, please use softened butter. Enjoy the cookies! These were really good! I used margarine instead for a bake sale but certainly will try with butter next time….I’m sure they will be even better! Thank you for commenting and letting me know you made these cookies Barbee! I’m so happy you liked them!